Alcatel is the fourth manufacturer of mobile phones in the United States of America. However, the company’s position in the market is further being affected by the many Chinese makers that are entering the U.S.
To make sure that it stands firm against the tough competition at hand, the company has unveiled a new and very affordable LTE tablet that still carries some of the latest specs and features for its price category. Known as the POP 7 LTE, the tablet will be a part of T-Mobile. So, if you are not a current T-Mobile user, you may now have a reason to start using this carrier. Alcatel’s new device comes in to continue the traditions of the company where it has been known for releasing devices of the best possible quality and pricing them at very affordable prices. With this POP 7 LTE tablet, T-Mobile users will be able to enjoy a top device at a very favorable price. The tablet can be bought online and at any other T-Mobile store across the country. According to the company’s VP of Marketing and Communications, Jon Maron, the new POP 7 LTE is more than just a tool for connecting or rather keeping users in touch; instead, it is also something that takes care of entertainment and content lovers. “With the new POP 7 LTE tablet, users of T-Mobile are getting a value-packed device that will deliver just that and even more,” Maron notes. In addition, the tablet will offer Android users a pure experience as the device comes packed with various options for customization. Combined with the great performance and ease of use, this device is a must-have for those who love being connected when on the go. 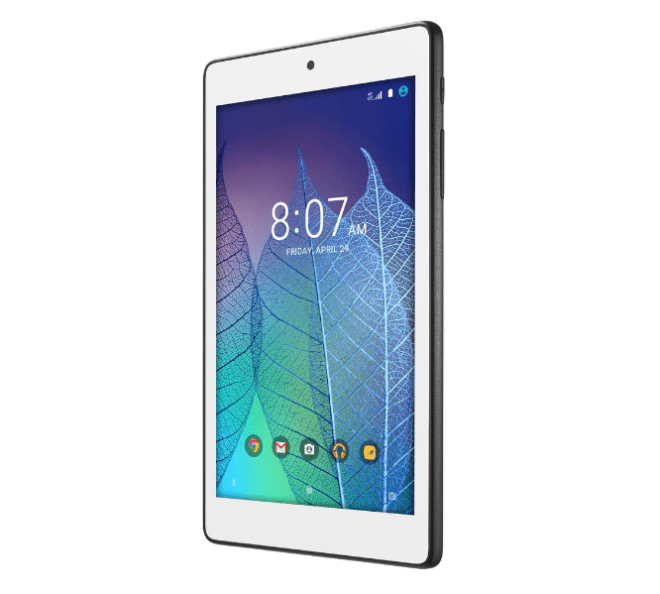 According to Alcatel, T-Mobile customers will enjoy a pure Android experience with the POP 7 LTE tablet. This starts with the fact that the device comes with the latest Android 6.0 Marshmallow, which makes is fast and smooth. It also means that users will be able to enjoy the new features in the OS, for instance, Google Now on Tap, Doze and better apps permissions management. As mentioned earlier, the fact that this device is powered by Android OS means that customization options are at the users’ disposal. For the features, the POP 7 LTE tablet, as the name suggests, is a 7-inch device that can also be used as a phone thanks to its LTE connectivity. The 7-inch HD display manages a resolution of 1024 by 600 pixels, which is not bad for a $130 tablet. In addition, it is protected by an Olephobic Coating that ensures finger smudge resistance, although it doesn’t make the device completely fingerprint proof. Under the hood, the tablet packs a quad-core Snapdragon chipset clocked at a speed of 1.1GHz and is supported by a RAM of 1GB. The storage option seems a little smaller at 8GB; however, it can still be expanded to 32GB using a microSD card. Alcatel stuck a 3240mAh battery unit inside the POP 7 LTE to ensure that it lasts long enough.